When the kids have a soccer game, pack these healthy, quick-to-fix lunch recipes -- so you can avoid the drive-thru. Score major brownie points with these cool lunch ideas for tweens that look as good as they taste. It's taco day! 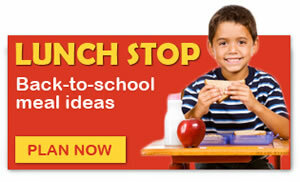 Give your tacos a healthy makeover and make lunch a little more nutritious for your kids.